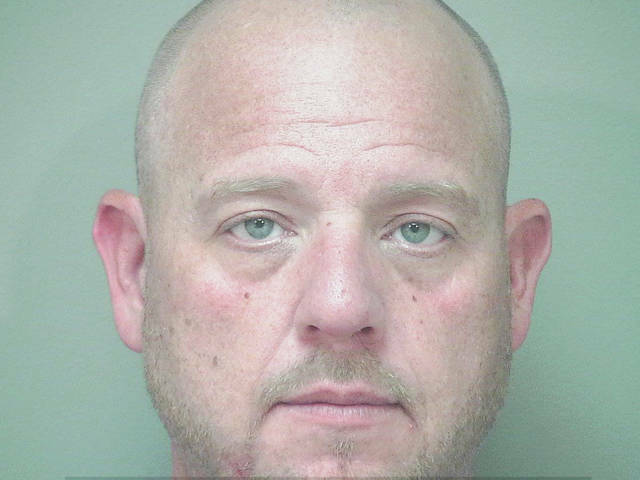 MIAMI COUNTY — Miami County Common Pleas Court Judge Stacy Wall will issue a written decision regarding the withdrawal of a plea entered by a Fletcher man accused of several felony offenses related to the alleged kidnapping of a Troy woman. On Monday, a hearing was held for Sean Martin, 42, to withdraw his guilty plea for offenses in connection to the Oct. 26 alleged kidnapping and robbery of a former girlfriend. Martin was indicted by a grand jury on first-degree felony aggravated robbery, second-degree felony tampering with evidence, a third-degree felony kidnapping and domestic violence. Martin had entered a guilty plea on Feb. 21 and filed a motion to withdraw the guilty plea on March 15. Martin also filed a motion to remove public defender Steve Layman as counsel. On Monday, attorney Kevin Lennen appeared as Martin’s defense counsel. Martin claimed Layman failed to show him evidence from his case and didn’t question witnesses he provided. Layman said the evidence Martin requested wasn’t important to his planned defense for trial and the witnesses Martin provided were not present during the alleged crime. Layman testified that Martin was apprised of his case and he was ready to take the case to trial, even buying Martin clothes for the trial set for Feb. 26. Layman testified that Martin’s case was “difficult” due to the “he said, she said” nature of the offenses and lack of witnesses besides the victim. Capt. Jeff Kunkleman also testified on the state’s behalf. Kunkleman said the victim’s story never changed and officers on the scene used probable cause to file the charges against Martin. Miami County Assistant Prosecutor Janna Parker argued Martin signed the plea agreement and is scared to go to prison, among other factors. Judge Wall said pending the outcome of her decision, a hearing will be set at a later date. According to Troy Police Department officials, Martin forced his former girlfriend from her Lake Street home early on Oct. 26. He allegedly drove the woman to a gas station and other places before she convinced him to drop her off at work around 7 a.m. The victim claimed Martin held her at knifepoint throughout the incident. Martin also allegedly withdrew money during the kidnapping incident. Martin remains incarcerated at the Miami County jail.